(Ver 1.6) This is now my second attempt to write and publish this article. I had written and finished this article a long time ago, but I was waiting to publish it when my computer hard drive crashed last week and I lost many of my unpublished works that I had been writing. Therefore, I am now in a recreate or recovery mode attempting to get back what I lost. It is never a good thing when you lose computer files. But, it is not an insurmountable obstacle, since I know it was God who gave me the information in the first place and I know He still knows what it all says. Therefore, I’ll just trust Him to give it to me again, and I will retype it for you with a smile and I’ll be happy in my work for God. Today’s lesson may not be the exact words that I typed before, but it will be close enough for you to see what He wanted to say. One of the greatest frustrations with working with computers is when they do not work correctly or when they fail. Since we live in a world that is deteriorating rapidly around us we just all need to become smarter in how we back up our work. I learned this the hard way and I was reminded that just because a computer is not very old it does not mean that it cannot still fail and your work is lost. Therefore, I have implemented a data backup plan that hopefully will fix this problem going forward. But, enough about me and let’s move on to the Word of God which is why I’m here. I have been doing a series of lessons on the “Hidden Spiritual Structure of God’s Family”. This is now Part 4 in this series of extremely advanced Bible lessons and I know today’s lesson will contain more information that you have never heard of before. If you have not read this series from the beginning, you really have no idea what I am talking about. Therefore, I would strongly recommend that you go back and start your reading with “Part 1” to make sure you do not miss out on any important information that I have already covered. I simply cannot guarantee that I will repeat everything that you need to know in every lesson. In the first two lessons I taught about the direct family members in God’s spiritual family based upon patterns found in God’s created family of man. I firmly believe that Adam was a pattern of Jesus who was to come and I also believe Adam’s family was a pattern of God’s family that already existed in heaven. Since Adam had a natural wife that came out of his side, I believe that Jesus has a spiritual wife that came out of His side. When the Roman soldier pierced the side of Jesus on the cross and blood and water flowed out, I believe this is a repeated pattern of what occurred when God took Eve from the side of Adam. Certainly you can see the comparison that I am making and then you can choose to accept it or reject it. But, hopefully you will see the significance of these two events given to us in the Bible as being something greater than just a coincidence. I have also previously discussed that the theological doctrine of the Trinity of God directly identifies two males in the Family of God and these are God the Father and God the Son. This foundational Bible doctrine of the Trinity of God further implies the existence of at least two females indirectly by logical association. One female is the wife of the Father who is also the mother of the Son and the other female is the future wife of the Son of God. You could go on and logically determine that the wife of the Son must also have a mother. So we have at the minimum three unnamed and unidentified females that we will still need to try to ascertain. People need to realize that when God created the natural world that the Bible says that He made these natural things to reflect and to reveal to us the things of the unseen spiritual world which I believe included His family. We know this fact based upon Romans 1:20 and if you need to review this verse and see what God tells us, please do that. So if God made them male and female in the beginning of human history, this must have been a reality that existed in the spiritual world by simple logical deduction. We know that God is always called a male in the Bible so we are at the crossroads where we need to determine the existence of a spiritual female. If she exists what is she, who is she and where did she come from? The only way I can teach you this is to go into a lot of Bible verses that I do not have time to do today. I will not be able to prove the spiritual existence of females to you in today’s lesson, but I will address this in a future lesson. I know I sometimes say things that are hard to accept, but since you do not know everything that I know, you will either have to keep reading by faith or just stop here, go away and remain in your ignorance. In the last lesson on this subject I revealed to you God’s hidden family prophesied to us from the Old Testament book of Micah. Jesus took a seemingly isolated insignificant scripture from a very minor prophetic book of the Bible and revealed to us that this is one of the main reasons that He came to the earth in the flesh. This statement was so profound that you do not even have a clue how important it is right now. From this lesson I showed you scriptures in Matthew and Luke where Jesus reestablished the importance of this information without ever explaining it or telling you what He was talking about. This is exactly why this information has never been revealed until now. I believe that if God had not revealed it, it would still be unknown. I hope that does not sound like I am trying to tell you that I’m anything important because He revealed it to me, because that is not what I am saying at all. I am just a messenger who God chose and I did not ask for this revelation specifically, since I would have not known what to even ask for in the first place. When I study the Bible, there are many times I do not know what I am studying until God shows it to me. So it is always God’s glory for showing it to us, and never our ability that discovered it. I learned this a long time ago and I believe that is why He gave it to me. There are only 5 members in this 1 family. There are only 2 direct males mentioned by title (the son and the father). A marriage is implied by the titles of “daughter-in-law” and “mother-in-law”. A man’s enemies are those of his own family. These facts make this family so different, that it can only fit God’s family by design. Hopefully you will better understand that statement as we continue. I posted this puzzle on the internet over a month ago and still no one was able to come forward to solve it. I suggested that you go through and read my other postings so that you could find some more clues, because I have all of the necessary information given and even a diagram of this family on my website and no one still could come up with the solution. I can only assume that no one really extended any effort to solve the puzzle, so I am in a personal struggle to determine if I should do all of your Bible study for you and give you the answer or to just leave you hanging in the dark. There are many times when I put lessons on the internet that I have to ask myself, am I casting my pearls before the swine that Jesus told us not to do (Mat 7:6)? If a person does not see the same value of the Word of God that I do is that casting my pearl of great value to be trampled on? To give away the Word of God for free is a perplexing contradiction. Jesus seems to imply that some will value His Words and others will just trample upon them. What I am teaching you today has opened up the Bible for me more than any other revelation of the Word of God that I have ever heard or learned about from anyone. Therefore, I clearly understand the value of this knowledge, whether you do or not. You need to decide what is valuable to you, if the word of God is not valuable, please stop reading my lessons and go away. I know I said that already, but I am being very serious and I will probably say it again before I’m done today. If you are an individual who sees value in what I am teaching you, then please be brave enough to tell me so that I do not decide to stop teaching because of everyone’s silence. I am only focused in on the one son of Adam named Seth and his wife and both of these children had to come from Adam and Eve. So we have one mother, one daughter, one father and one son. That makes 4 in one family doesn’t it? If the son Seth marries a daughter of Eve (his sister), then we have the new addition of the mother-in-law title to the mother simply by the definition of marriage even though she is still the new wife’s mother simultaneously. Just take note that one single woman can carry multiple family titles by definition and circumstances. For example, any daughter can become a wife, a daughter-in-law, a mother and a mother-in-law and she can possess all of these family titles simultaneously. In my picture of Adam’s family the daughter of Eve would also become Eve’s daughter-in-law when she married Seth her brother. Again we see that one woman can possess two family titles and this is a major clue to resolving the puzzling fact that God’s riddle had 6 named titles but then He said there were only 5 actual individuals. Therefore it is essential to conclude that one woman in the family of 5 must have two of the titles given to us in order to resolve the difference correctly. Do you understand this logic? Since the females are the only in-law references given to us in Micah, Matthew and Luke I have ignored the male role titles. 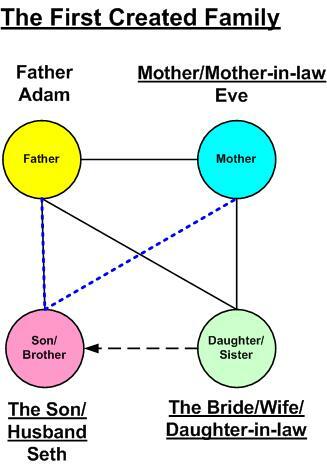 Hopefully you can see in Adam’s family diagram that we have all six titles that were given to us in the prophecy, but yet we only have four family members and this does not match the 5 in one family that God has revealed to us in Luke 12:52-53. So we have a family tree that is close, but it is not accurate enough to solve the mystery. So we still have a monumentally perplexing puzzle to solve. Do you understand what I have said so far? I pray that you do. 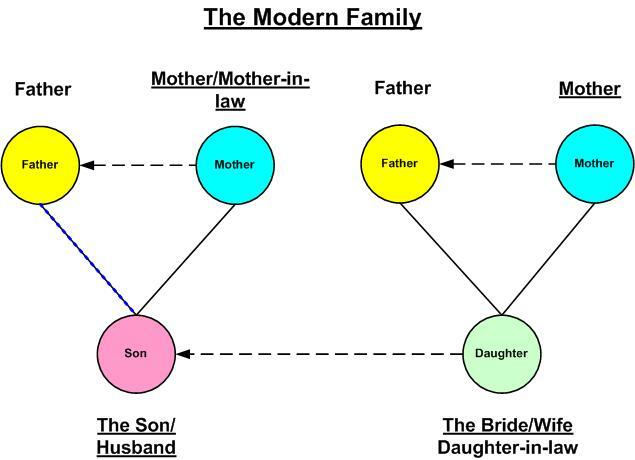 So let’s shift gears to a different family tree diagram of a modern day family and see how that compares to the information given to us by Jesus. This week in the news Prince William of England married a commoner name Kate and this next family diagram could very well apply to this marriage. The son in this diagram would be Prince William, the daughter would be the woman Kate and then the parents of each would also apply. As you can easily tell, using this diagram it has added too many family members to satisfy the riddle requirements. It further complicates the matter by introducing an additional second family and that does not fit with the given description that Jesus gave to us either. Now instead of the 4 family members of Adam and Eve’s family we now have 6 members like in my family tree. 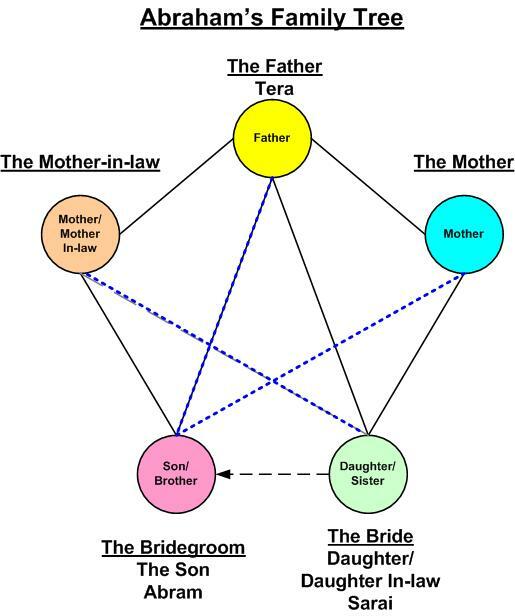 This diagram has two fathers, one son, two mothers and one daughter. We also have a daughter-in-law, a mother-in-law in this diagram and all of this information is only partially accurate to the complex riddle information. What we have done is gone from one too few family members, to one too many family members. We have also increased the number of families from one to two, so we have actually moved further away from solving the riddle with this diagram. However, look again at the diagram, study it and see why we have too many family members and then try to determine which one family member we can remove to make a single family of five with the same necessary six resulting family titles? To me it is very logical to see that there are “too many” fathers in this diagram. Clearly from reading the original prophecy we know that there is only one father mentioned and one son so we must take away one father and this will resolve every problem to solve this puzzle. Since we are talking about God’s spiritual family and there is only one God the Father in the trinity, this tells me that there are not two Fathers in God’s family tree diagram. These are just some of the factors that make a riddle a riddle. If you could solve the riddle without giving it any serious thought then it would not be a riddle. 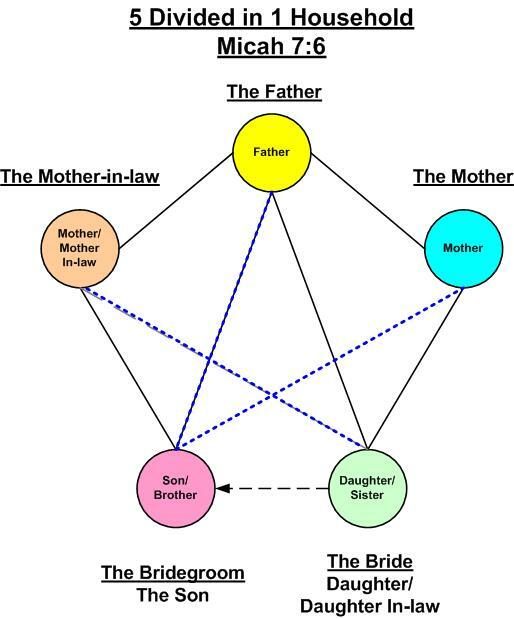 Looking again at this diagram of the 2 two families with 6 total family members, how do we remove one father and still leave two mothers that results in one family? Wow, I think I just gave you a very major clue. If you only have one father, he is always the head of one household and everyone that comes from him is still in the same family regardless of who the mother of the child is or how many wives he has. You can see this logic found in the O.T. Bible in many places. David had more than one wife, Solomon had way too many wives, and even Jacob had 4 wives that birthed the 12 tribes of Israel. So we have just made some huge strides to solving the puzzle. Are you getting it? According to the Bible, a man is the head of a family and no matter how many wives he has had, they are still all in one family. Please do not think that I teaching polygamy. Wow, this is really getting tough isn’t it? God as you will soon learn chooses to do something that was permissible in the Old Covenant but that is not permissible in the New Covenant in order to accomplish the ultimate hidden plan of God. You see before the human race existed, I believe that God had a monogamous relationship. We will learn in these lessons that God had more than one wife for an interim period of time. Remember what a covenant is? A covenant is a marriage to God according to the Bible. How many covenants are there mentioned in the Bible? You probably do not know that answer to that question and I do not have the time to tell you about them today. However, we will find out some more information about this very soon as we continue. I believe that after the plan of God is complete that He will end up with another monogamous relationship in the end with only one covenant being in effect. I believe that this covenant is the one that was implemented by His Son Jesus and I pray that you can see it. However, in the in between time in order to implement this New Covenant plan, God chose to do something that He would not have normally chosen to do. We know that God is opposed to polygamy by the nature of creation. Jesus taught us that in the beginning did you not read that he made them male and female (Mat 19:4)? In other words God said that He did not make them male and females (multiple wives) or male and male or female and female. Do you see how smart God is, with His riddle and His words? I guess it is time to reveal the family of God to you. There is only one family diagram that I could come up with that solved this riddle exactly and amazingly enough God uses this pattern as His family diagram. This diagram will probably shock most of you. You see when you look at this diagram it strongly resembles a known Satanic symbol that causes you to retract from believing it. I purposely believe that Satan stole God’s family symbol and tried to pervert it intentionally to discredit it so that no one would accept it as being something from God. By Satan taking a Bible pattern and making it his own, it will cause you to more easily reject the truth and this is a common way that he uses to deceive people. Take a look very closely at this diagramed family tree and then I will discuss the facts of how only this diagram will solve the riddle completely. Here we have a family of five and it is totally different than any family that I know of on the earth today. However, that does not mean it is not possible. I believe my Bible says with God all things are possible (Mat 19:26). What I want you to do today is to change your perspective and to think about this diagram from a spiritual point of view. Try to see it from God’s point of view. Who are the two males in this family? We know from the Bible that God is a Spirit (John 4:24). We also know that God is called our Father many times in the Bible as well as the Father of the Lord Jesus Christ (Rom 1:7, Rom 15:6, 1 Cor 8:6, 2 Cor 1:2). We further know from scripture that God existed in the spiritual realm eternally before there was a natural realm ever created. Now think, where was the Son of God conceived and born? Clearly Jesus Christ was born a natural man in the physically created world. So we can clearly understand that we have a natural Son that came from the spiritual realm of heaven to be born in the physical world as a man. Therefore, we have two direct realms of reality being described to us in one diagram. In other words this diagram originates in the spiritual realm, but it then crosses over into the natural realm simultaneously. This is why we have two women who are married to God the Father, one is a natural woman and the other is a spiritual woman and if you have ever read my other Bible lessons you already know their names. If you do not understand that a covenant is a marriage, then you should go and read my lesson on “Understanding Bible Covenants”. God the Father was in covenant with two women in the Bible and I will explain this more clearly in the next Bible lesson. So before I continue, I want to confirm this family diagram using an Old Testament family that God gives us as a natural type of His family. God repeats patterns in the Bible to reveal hidden information to us. However finding these patterns can be very difficult unless the Spirit of God points them out. This hidden pattern is found in the family tree of Abraham and this should not surprise you at all since Abraham is a central figure of the Bible. However the reality of connecting this family pattern to the matching God family pattern will take many by surprise since it was a well concealed secret. Did you see it? Did you notice that Abraham married his sister? I told you that this was a common early Old Testament occurrence in the recorded events of human history and this verse proves it. You see Abraham was born nearly 2000 years after Adam and this proves to us that men still married their sisters even then. However, it changes things slightly when you see that his wife was only his half-sister. Sarai had the same father as Abram but not the same mother. Guess how many family member that comes up to be? If you guessed that there were exactly 5 in one family you would be exactly right. If you also saw that they were 2 males and 3 females you would also be exactly right. If you go on and think with me logically you will see that every family member title fits exactly the titles given to us in Micah 7:6. It is only because Abraham’s father Tera had two wives that make it possible for there to be 5 in one family. We have a precise match to the spiritual family of God using an Old Testament type and shadow that has been written about for thousands of years before Jesus came to the earth to tell us about it. I believe that when you understand that God knew the end from the beginning that it made it easy for God to hide important information in the book of Genesis that we would need to know about before Jesus came back to the earth almost 4000 years later. It is an awesome example of the extreme intelligence of God at work. If you do not yet understand the complexity of God and the Bible after studying this Bible series, you might just be reading the wrong Bible teacher. In conclusion today I want to show you how this family tree diagram causes you to understand the plan of God in action from beginning to the end. Hopefully you will recall that Jesus taught us that there would be five in one family divided 3 against 2 and 2 against 3 (Luke 12:52). This stated division of 3 against 2 is actually found to be present in the Old Testament shadow of Abraham’s family tree given to us by God in Genesis 20. The exact same pattern of mentioned division occurs in the family of Abraham that was stated in the prophecy of Micah 7:6. You’ll see what I mean as we continue to explore this subject in grater detail. Why are these specific numbers important for God to mention? Why is it exactly 3 members divided against exactly 2 other family members? What exactly is a division? A division by definition is the separation of one person, place or thing from another person place or thing. A division is a departure from something, or even an isolation from a given object/noun. Why would it be necessary for God to divide His existing spiritual family? God actually answers this last question in the Micah 7:6 prophecy and you should review this fact so that you can understand what the plan of God is doing using this simple concept of division. Remember the prophecy said “a man’s enemies are those of his own household”. If God’s own spiritual enemies were close family members who could God be talking about? From the diagram we can see that the enemies of God could possibly be found to be present as one of His wives or one of His children or all of the above. That makes things much more complex for God to resolve in this riddle. It goes back again to the old adage that you can choose your friends but you cannot choose your relatives. It means if God’s enemies were a part of His internal spiritual family, how does He choose to get His enemies out of His house legally, morally and justly? You really need to give that question some very serious thought before attempting to answer it. I believe that the answer to that question boils down to, that God chose to start a brand new family apart from his current existing family and that is the only solution that is legal while being morally sound preserving the Holy character and nature of a loving God. God is so much smarter than you or I, and He always does things in a legal justified way that does not reflect upon Him negatively. Division can be a positive or a negative depending on the reason for the division being implemented. A negative division would occur if you committed a crime and were convicted of that crime and sent to prison, you have now been divided from society by your personal bad choices. A positive division occurs when you can see how our roads have been built; we have divided highways where one side cannot invade the space of the other side’s traffic to cause accidents or deaths. These are two different types of divisions. They both are in effect implemented to prevent something negative from happening. But, what is a division in the terms of a family unit? There are actually several different types of legal family divisions that can occur and I will discuss some of these briefly to help you understand how which legal pattern of division fits for the prophecy in Micah 7:6. 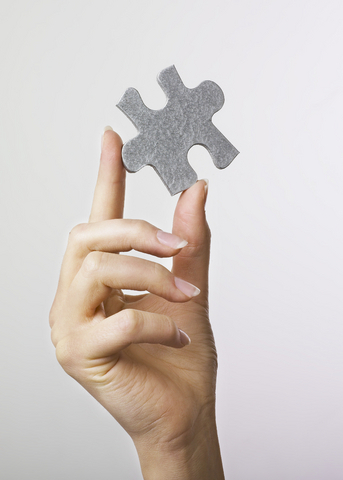 One possible family division occurs when a significant loved one dies. Whenever a family member dies, that family member is no longer a part of the family living in the same house. Thus natural death is a division between family members. Of course they do not cease to exist; they just do not exist in the natural realm, but death is still a clear dividing line. We learn this concept from the book of Ruth when Ruth says to Naomi “I will be with you until death separates me from thee” (Ruth 1:17). You need to understand that this is one of the main reasons why Jesus was born a natural man on the earth, so that He could die a natural death. The Spirit of God could not die in heaven so He became a man. Once you understand that death is a separating force for covenants, you begin to understand why one of the reasons that Jesus had to experience physical death. Consider death as a potential dividing force in this family of 5. Which two would need to die or which three would need die in order to leave the others alive and divide them 3 against 2 or 2 against 3? Well that could apply but this is not what is mentioned as the dividing line in the typology of Abraham. Therefore, I will think that this type of division does not apply to Micah 7:6. Another possible family division would be a type of divorce where one parent separates from another and one gets custody of the children and the other one does not. In this case we could observe one mother taking custody of her child and departing the family and that would match 2 being divided against 3. That is actually an interesting concept that we will see in other coming Bible patterns but that is not what is happening in the story of Abraham. There is no divorce mentioned in the lesson from Genesis concerning Abraham, his mother or his father or Sarah and her mother and father. Therefore we have again a close possible solution but no direct match from scripture typology. You can clearly see that when a son takes a wife, there is a definite family division that is stated. To “leave” one’s old family is a dividing line occurrence that begins a new family. God says the son will leave his father and his mother and he will now be joined in covenant with his wife. Anytime a son leaves his mother and father to become married, a family division has occurred. This is a separation of being in the father’s family that results in the establishment of a new son’s family. So when Jesus, the Son of God comes to the earth to establish a new covenant in His blood, He has just left His Father’s house in heaven and has separated Himself from ALL of His Father’s covenants by definition revealed to us by God’s created patterns and His very specific Words of Law. Both the son and the daughter bride must leave their respective parents to become joined in covenant to form a new family household that is both independent and completely separate from the existing Father’s family household. The father is not the one that is marrying the bride, the son is the groom to the bride so the father has no covenant relationship with this new woman. If you do not understand how this works, I’m sorry for you, I do not know how to explain it more clearly. You see I learned this concept because I lived it. When I married my wife, I moved out of my parents house and got my own house. My wife and I created a brand new family unit that never existed before and this family was now separate from both of our parents. There is one fact that is still relevant for my new family house and this is my house had the same name as my father’s house. Since I took my father’s name I was a builder of the family name keeping it going to the next generation and that is very important to apply to what Jesus is doing also. When my wife and I moved out, our parents were no longer responsible for us to provide for us or to give us anything. This is simply how life works, we still recognized where we came from, but we now we do not live with that old family since we have a new one with our own children. Someday our children will grow up and get married and they will then become a new separate family and the endless cycle will continue until God’s timetable ends it. So we have the son and his wife who are now two and using the diagram of the family of 5 they must leave their 3 parents that have been excluded from their new household. We have two children who have become One New Family and we have an old One Family that was five members that now have become three by themselves. I’m really not sure if you understood the simple math behind what I just said, but it was very deep and I know it went over many people’s head. My Blog is called “Advanced Bible Studies” and this is why. It is written for spiritually mature Christians who want to think. I want you to see from my 5 in one family diagram that there are two children that leave 3 parents to be married and this is a division of 3 against 2. This was the plan of God in a new revealed reality. God has dissolved two covenants for the creation of one new covenant that is far better. You probably still have a lot of questions and you are probably still lost to who these three women are, but I will explain them more in the next lesson and it will become much clearer. If you are impatient and want to see who they are faster, just go and read my other Bible lessons and it will become much clearer more quickly. I hope that you do not write me off as being crazy, because you do not understand all of these new Bible concepts yet. Just realize that you still do not know everything that I know and it is just impossible for me to teach you everything that I know in one Bible lesson or even one series of lessons. Anyway until next time, I will pray “may the Spirit of Wisdom and Revelation in the knowledge of Him who created us be there to open the eyes of your understanding to enlighten you with all of His truth”. If you like what you are reading I would encourage you to tell me and then go tell a friend about what you are learning that is so different. Thanks and God Bless! If you would like to continue reading in this series you may proceed to “Part 5“. Posted on May 1, 2011, in Bible Study, God's Spiritual Family, Understanding and tagged Bible, Christianity, Church, Covenants, creation, Genesis, God, Holy Spirit, Interpretation, Jesus, Knowledge, marriage, Prophecy, Religion, Revelation, Truth, understanding. Bookmark the permalink. 32 Comments. encouraged and know that you are inspiring many for the good. Thank you for taking the time to read, study and comment. May God richly bless you. You are on a good path with that verse. It is connected to this subject in a very significant manner. God Bless you. Wow ! Awesome God ! This is mind blowing! The Lord bless you brother! Thank you for your comments. God Bless you. Thank you for taking your time to teach this advanced Bible Study. This study is just beyond great. I had a lot of questions concerning this, then He leads me here. God bless you and may He be known throughout the earth. Asante! Thank you sister for being led by the Spirit of God and for your very kind comment. You are a blessing. Great Bible study!!! God will bless you. I found this site after waiting on d LORD …That alone has proven your God-sent …Words can’t express my joy understanding God words…I love ur lessons a lot…God will really bless you for me. Praise God our Father who never fails in showing His love towards us. I thank God for revealing to me the mysteries of heaven which i cherish like treasure. God’s Word is a light and lamp to our feet. Let us strive and continue in the Lord our God. To Him be all glory and honour and praise forever & ever! I rarely comment on the web, however for you I will make an exception. I just found your site a month ago and have been diligently reading your articles. It is difficult for me to find the words to describe how they have helped me grow and understand God. I have had many discussions with “professional” people who could just not answer the questions I had about Gods word. Your insights are eye opening and very comforting? to me, almost like they are confirming what I already knew-but didn’t know at the same time – so I guess they ring true. So, Thank you for all the time and effort you are putting in – I am taking notes and studying – just have a lot of catching up to do! Also know you and your family are being prayed for. I Thank God for leading me to you. Thank you so very much for your comments. God Bless you. What I love about the blogs are that they are God’s words to me. If I don’t understand it at the moment, that is ok as I continue to seek His will and way. Then there are times when I come back to a blog I had already read and then it makes more sense since I am a little more mature. In His time and not mine. Thank you for the time and work you put into this material. It is definitely not wasted at all. God bless you. I just want to say, thank you and God bless you. May our Lord Jesus continue to give you revelations to share with your students, I am an avid reader of your postings. Hi, Would you please help me this bible verse. The bible says the last enemy that will be destoyed is dead. 1 cor. 15 v 26. When was the spirit of dead created? Did God created the spirit dead. Why was dead considered an enemy and why will it be destroyed last. I would have taught that satan should be the last to be destroyed. Wow, This is a completely new concept to me. You are doing great a great work. Please keep it on. Interesting information, thank you for sharing them in Understanding the Hidden Spiritual Family of God! Part 4 The Agapegeek Blog. Thanks. I think I see why it must be reversed like that. The daughter must be linked directly to the wife that is not “divorced”…I will wait for the final solution. It is only an attempt. In the previous attempts, I was not thinking about the two wives and I was trying to include the child of the son and the daughter. I think this is really a complex and interesting riddle. Thanks for that comment. I agree that fear keeps people from doing a lot of things like asking questions. If I ask a question I might look stupid so that makes people stop and keep silent. However we are all in the same boat, we are all ignorant and we should all learn as fast as we can. I do appreciate your comment. Your attempted solution is very close. You have done well in thinking about this complex riddle. I will tell you that the mother and the mother-in-law are actually reversed from what you said other than that you did great. Thanks for sharing with everyone. well i like to think you are not completely wasting your pearls, because i for one love trying to grasp and apply your lessons. im not really on spiritual solid meats yet, but i like to think at least boiled veggies, at least by earthly standards. i dont think its such a bad thing for spiritually imature christians to consider an advanced bible study if only to give them a glimpse into how deep their spiritual world can expand. i think when you speak clearly boldly and logically like you do it isn’t going to scare the majority people off and make them apalled. your approach usually demands respect whether people grasp your words or not. i like these lessons on Gods spritual family i think i have worked out all the members except the mother of the daughter. its good cause if my health permits me i want to my cousins wedding and make a reading about how natural marriage reflects God spiritual one. i dont want to say the same things always said at weddings but somthing thought provoking and maybe a bit shocking. bible studies are one way i can distract me from my pain and anguish a bit. i never want to start because when your body nd mind are on fire and you just want to put it out, nothing else matters and certainly not complex mysteries of life, but somehow i like to study anyway. Thank you for taking the time to read and study the Bible and for your great comment. I appreciate very much hearing encouraging words from anyone, so I say thanks! If there is anything that I can do to be a greater blessing, please let me know. God Bless! I am enjoying learning from your teaching. I am seeing what I have never seen before, and hearing what I have never heard before!! I know you have a whole lot more to teach me. Keep up the good work. God Bless!! Thanks for the great comment of encouraging words. I appreciate them more than I can tell you. Keep up the Bible study and always pursue God asking in faith for Him to guide you into all truth. God Bless! I, for one, enjoy all your articles. The concepts are advanced but explained in a clear, broken-down manner. Please continue! Thank you, I definitely appreciate those words!